Addiction takes a serious toll on your body. The good news is that there are many positive steps you can take during recovery, not just to improve your physical wellness, but also to reduce your risk of relapse. Here’s a closer look at some things you can do to regain one of your most valuable assets: your health. Nutritious foods sustain the body through recovery. Drug abuse is incredibly destructive to your physical health. From damaging your heart, lungs, kidneys, and liver to altering the brain, these changes can be deadly. While some of these health concerns are irreversible, others can be fixed through behavioral changes. Embracing these behaviors during recovery can help you look and feel better, which can help sustain you and keep you moving forward on your recovery journey. A significant part of addiction recovery is to take control. While this means the decision to stop using, it also means making changes that support that decision. Prioritizing self-care is a vital part of that picture. Why? When you are practicing self-care toward better health, you’re in a better position to maintain control across other areas of your life. Unfortunately, many addicts suffer from malnourishment due to factors including not eating enough, eating empty-nutrient foods, and vomiting and nausea. Eating right can help replenish absent nutrients, including vitamin D, vitamin B6, iron, calcium, omega-3 fatty acids, magnesium, and vitamin K. By eating a nutrient-rich diet consisting of plenty of fruits, vegetables, healthy grains, and low-fat meats, addicts can bolster their immune systems, sleep better and feel better — all of which are integral to restoring good health. Additionally, your doctor may recommend vitamin and mineral supplements to ensure that your nutritional needs are being met. Hydration is also imperative. Avoid sugary and caffeinated drinks and, instead, reach for water. The pivotal role of exercise during addiction recovery cannot be overstated. Exercise is a proven way to relieve both physical and psychological stress. For recovering addicts, exercise can become an alternative to their usual unhealthy ways of escaping. 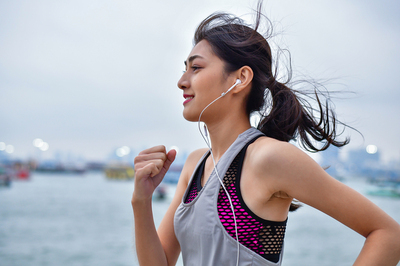 Plus, just as substance abuse has been shown to negatively alter brain chemistry, exercise can have the opposite effect thanks to the release of “feel-good” endorphins providing a “natural high.” Lastly, as many addicts struggle with depression and feelings of low self-worth, exercise is linked with improved optimism, self-confidence and enhanced feelings of wellbeing — all of which support addiction recovery. Exercise isn’t just good for the body; it’s also good for the soul. The takeaway? While exercising may feel like the last thing you want to do while in recovery, forcing yourself to get up and get moving every day can reinforce your ongoing sobriety goals. While addiction is often about the loss of control, recovery is about regaining it. One last thing to keep in mind, though, is that these changes won’t happen all at once, and they can be difficult at times. To that end, recommends the Substance Abuse and Mental Health Services Administration (SAMHSA), “Take small steps. Don’t give up. Be persistent. Keep working toward whatever it is that will help you to feel better and enjoy your life more. Making change is being able to see beyond yourself to what the solution might be.” To learn more about substance abuse treatment and recovery at St. Louis drug rehab center Harris House, contact us today.